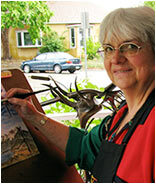 Meet Vickey Swenson, watercolor virtuoso and co-owner of Creations Gallery of Fine Art & Art Gifts. Stop by and say hello to Vickey, partner Tom, and Gallery mascot Cici, and, of course, check out the beautiful work by local and national artists. The ladies swoon when this handsome fellow strolls the Downtown streets. 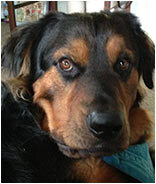 Meet Bentley, an 18 month old Rottweiler/Bernese Mountain Dog mix. This personable pooch can often be found in front of Cafe de Paris. Make sure to say hi to Bentley and owner Deborah if you see them! your lazy hot days and back to school blues. The end of summer vacation is bittersweet. Alas, there’s only one thing to do. 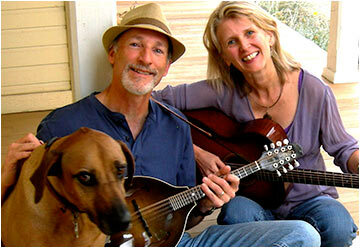 Joan Huntsberry and Andy Langford, the talented musical duo from Louisville who perform as Living Easy, have selected Boulder’s Firefall to open for their August 9 performance at Bittersweet Cafe. Joined by the Lazy Boys; Michael Maya-Charles on bass and Josh Gordon on percussion. 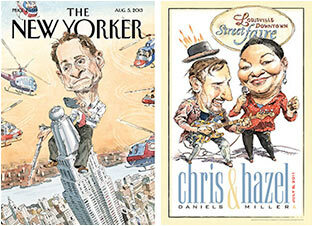 The August New Yorker cover featuring King Weiner Kong has become an international sensation. So what does this have to do with Louisville? Well, the amazing illustrator, John Cuneo, is pals with a DD contributor dating back to their days working in the San Francisco ad world. John was nice enough to produce this caricature for a 2011 Street Faire poster - commemorating a send off to long time Faire favorites Chris Daniels and Hazel Miller. Pretty cool, huh? Join the many galleries, retailers and restaurants as Downtown comes alive on Friday night with art, music and great food, not to mention the welcoming beat of the Street Faire, featuring the great Tab Benoit. Remember when Louisville painted the town purple with all those beautiful Luminaria downtown? They are a tribute to our loved ones who have survived or are battling cancer, and a memorial to those who have lost the battle. So is the Relay for Life event, a nationwide effort to support cancer patients, survivors and research. A special ceremony will be held during the Relay for Life event in which those with Luminaria will have their name read aloud. Help support this important cause by attending or participating in this special event. Click here for more information or to register. Through the entire month of August, Creations will host the largest fine art-glass show in the region, featuring six glass artists. This show features sculptural glass, blown glass, kiln formed glass, slumped glass, painted glass, fused glass and stained glass. Functional & decorative-only glass art created for table centerpieces, serving dishes, goblets, wall sconces, vases, lights and fabulous chandelier. Live music at the gallery by Louisville’s own Living Easy on August 2 during the downtown Louisville Art Walk. Yoga is recommended for Osteoporosis due to its low impact, less strenuous effect on the joints. Yoga poses help increase joint range of motion and strength in addition to enhancing one’s overall coordination. In this workshop modifications will be taught to ensure moving safely and joyfully in Yoga. Trula and Carol will lead you through poses that will strengthen your core and minimize risk for fractures, and will also provide you with proper body alignment. Fee is $45. Local Artists Dona Laurita, Jessica Boian and Monika Edgars started a project “Birds, Flowers & Butterflies.” During the Street Faire, kids paint a canvas tile. The pieces will be assembled into one giant painting which will be auctioned off at the end of the summer to support Louisville Arts District. A call for artists to join them is now at hand. Sign up at Sunshine & Rain by Noon on Friday to paint, draw, sketch, crochet, knit or simply have some good artistic fun, from 6:00 – 9:00 pm. LinkedIn is an integral job search and online networking tool. In LinkedIn Basics, career coach, Leah McNally, of Leah McNally Specialties, will explore the features of LinkedIn and show you how to leverage LinkedIn for personal branding and job search positioning. For anyone betweent the ages of 6 and 12 who enjoys the American Girl books or has an American Girl Doll at home you and your doll are welcome at the party! You could even dress alike! The Library is celebrating the arrival of its new dolls, Cecil and Marie-Grace, which will be part of the circulating collection. 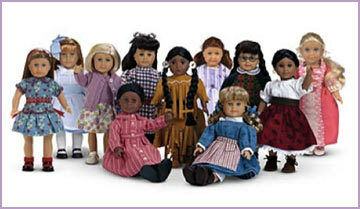 Enjoy some snacks from the American-Girl cookbooks, make some accessories for your doll, and learn more about some of the various time periods of different American Girls. No registration is necessary. Come cuddle up with your little one and enjoy this special evening pajama story time. Come dressed in your PJ’s, listen to bedtime stories with Miss Kristen, and have a midnight snack. All ages welcome. No registration necessary. Enjoy this extraordinary fine art exhibit of vibrant, compelling works by celebrated artists from around the country. 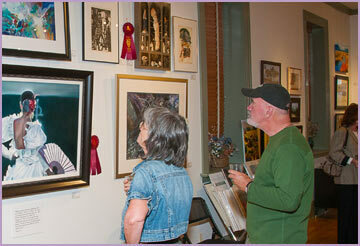 The Louisville Fine Art Show is one of the premier art shows in the area. Opening Reception is Saturday, August 31, from 6:00 – 9:00 pm. Various events will take place throughout the week such as a wine and cheese reception and artist demos. 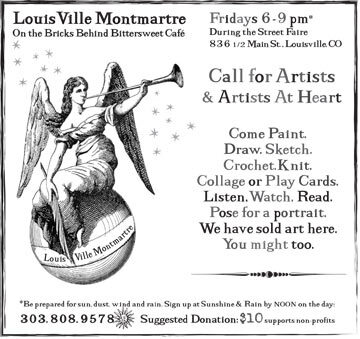 Visit louisvilleart.org for further information.